Andy Boettner’s musical background is rich and varied. He started singing before he can remember and gained invaluable experience singing and playing drums in bands that covered most of the popular musical-styles but specialized in jazz/blues/pop/rock, and their own original music. He was a soloist and an ensemble-member throughout grade school and college performing in quartets, madrigal groups, chamber vocal ensembles, show choirs, large choral groups and toured Europe as a soloist and member of the Fullerton Youth Chorale. Andy’s students (past and present) include television personalities, Broadway stars, and soloists with the San Francisco Opera, the San Diego Opera, the New York City Opera, and the New York Metropolitan Opera. The year 2009 proved to be another incredibly successful year for Boettner Vocal Studios. Recently, three of Andy’s students starred on Broadway in three different productions simultaneously. Graham Phillips as Evan Goldman in “13”. The only musical to ever hit Broadway with an all teenager cast. Andy earned his Bachelor of Arts degree with an emphasis on Music Education and finished Master’s of Music degree courses-work with an emphasis on Vocal Performance at California University at Fullerton. 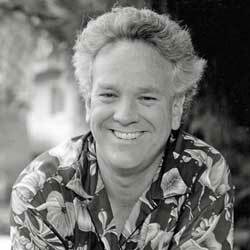 Andy studied voice privately for three years with Leona Roberts, past President of the Los Angeles chapter of the National Association of Teachers of Singing (N.A.T.S. ), former head of voice department California University at Long Beach and voice faculty-member at California State University at Fullerton. Andy studied voice privately with the late Dr. Roger Ardrey for three years and also completed his graduate-level Science and Vocal Pedagogy courses. Later, he privately studied voice and operatic literature with the late Michael Kirkjian and also with Jane Paul, former head of the voice department of California State University at Fullerton. He also studied choral conducting with David Thorsen and with the late Dr. Howard Swan, teacher of famous choral maestro Robert Shaw. He studied voice privately for three years with the world famous ‘cutting-edge’ voice teacher, Seth Riggs – who first encouraged him to open his own studio. Inside the studio with Andy! Musical Theater – Andy has appeared as Curly in Rodgers and Hammerstein’s “Oklahoma”, as Clifford Bradshaw in Kander and Ebb’s “Cabaret”, and as Riff in Sondheim and Bernstein’s “West Side Story”. Operetta – Andy as Frank in Johann Strauss Jr.’s “Die Fledermaus” and other light opera fare. Chamber Opera – as Simeon in Debussy’s “L’Enfant Prodigue” and as the Muleteer in Ravel’s “L’heure Espagnole”, as Bob in Menotti’s “Old Maid and the Thief” and as Mr. Gobineau in “The Medium”. Wrote the first curriculum outline for the Vocal Institute division of the world famous Musician’s Institute of Los Angeles. Authored a monthly column entitled “Vocal Notes” for Music Exchange Magazine. Awarded six (6) U.S. invention patents for the world’s first portable nebulizer (humidifier) for microphones. Joined “The Captain and Tennille” in 1975 and toured the U.S. and Canada as a singer and percussionist. Appeared as a regular performer on Captain and Tennille’s weekly television variety hour on ABC. Appeared on programs with The Beach Boys, America, Cher, Donnie and Marie Osmond, Gregg Allman, Andy Williams, Mac Davis, Jim Stafford, John Sebastian and Bob Hope. Weirdest Personal Highlight of all Time! TV Guide using my name to fill the need of a vowel-filled ‘word’ for one of their weekly crossword puzzles. Received his first Gold album (500,000 copies sold) for singing on The Captain and Tennille’s first album “Love Will Keep Us Together”. (The single version of that song was #1 for four weeks and became the years’ top selling single finally winning the Grammy Award for “Record of the Year”). “I Write the Songs” written by Bruce Johnston is another song on which Andy sang from the “Love Will Keep Us Together” album and was later recorded by Barry Manilow and became the Grammy Award winning “Song of the Year” the following year. Received his first Platinum album (1 million in sales) – also for the “Love Will Keep Us Together” album. 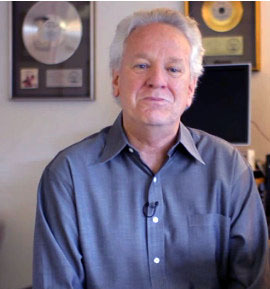 His second Gold Album was awarded for C&T’s “Come in from the Rain” album – this record also yielded his second Platinum album. 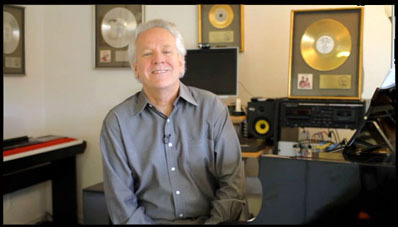 Awarded a Gold single (for 1 million singles) for Captain and Tennille’s hit single “Lonely Night (Angel Face)” written by Neil Sedaka. Received his third Gold album award for Captain and Tennille’s “Keeping Our Love Warm”. Personal Performance Highlight of all Time! The thrill of performing with Bob Hope for the Queen of England at the Bicentennial “White House Concert”. Boettner Vocal Studios Orange County located in Costa Mesa, California. Producing talented Singers of the very highest caliber for 40 years, since 1976. Beginners and Seasoned Performers including Awarding Winning Musicians and Music Artists come to Andy Boettner from all over the USA and World to benefit from his extensive knowledge, teaching skills, and grasp of the highly technical requirements of singing and vocal problem solving! Guaranteed with Andy teaching and helping you – you are in the hands of a "Master"...Read student testimonials and his bio! Two more music Conservatory auditions ahead this weekend for Boettner Vocal Studios student Zoe P. This time it’s Point Park and Boston Conservatory of Music. I already know that both institutions will be duly impressed by you Zoe - just go sing it out of the park! I just received some more great news from Las Vegas where my voice student Logan B. won “Best Vocalist in All Styles” in last week’s performance competition. Congrats to you Logan for your patience and attention to details - that’s what a pro does! More Las Vegas accolades for my student Sophie R. This time her duet won Platinum recognition and she also took 2nd overall in the advanced division! Nice job Sophie! My final student-congrats (for today anyway) go to Sophie R. for winning the Las Vegas Top vocalist in the 12 and under advanced category! You have one more win up your sleeve tomorrow girl - do what you do. Sending out more congrats - this time to my vocal student Annaliese A. for winning three performance awards today in Las Vegas. You go girl - there is so much more in store for you. Many congrats to Jack A. for being casting as Cinderella’s Prince in “Into The Woods” this week and also for his Runner-up Best Vocalist in Las Vegas today. Just wait until next year Jack - we really haven’t been at it that long! © Copyright 2010 - 2018 Boettner Vocal Studios | All Rights Reserved.